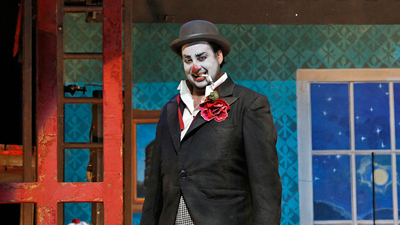 "Cav & Pag" have come to define the very essence of Italian versimo opera—searing tales of everyday people, trapped by their passions in circumstances beyond their control, pushed beyond endurance to the inevitable bloody and tragic ending. It takes powerful, full-throated voices to convey these stories’ unbridled emotions. Giovanni Martinelli, Lawrence Tibbett, Stella Roman, and Leonard Warren more than deliver the vocal goods in this broadcast.